A challenging curriculum that targets industry-requested skills serves as the backbone of this rigorous Bachelor degree program. Business acumen, soft skills and creative problem-solving are also emphasized in and out of the classroom. And there’s no shortage of places near and far where Bradley students and graduates can be found honing these skills and working in the field. To learn more about Game Design at Bradley, we caught up with the Lead of the program, Dr. Monica McGill. No stranger to the industry herself, McGill and her colleagues have specifically tailored the program to address industry needs while providing undergrads with myriad of opportunities to gain experience and exposure. We hope you enjoy! (This interview, done via phone, has been edited for length & clarity). ACR: Monica, thanks for participating in our latest Q&A and telling us a bit more about Bradley University’s Game Design program. How did the program come about? Monica McGill: We started as a multimedia program around 1999. It became the full-fledged Interactive Media give years ago. We decided to implement three areas of focus which are currently concentrations though we do have discussion on turning them each into degree programs. They are Animation and Visual Effects, Game Design and Web & App Design. ACR: Having worked in the industry for years, are there elements that you and your colleagues felt were missing from typical Game Design education that you wanted to address at Bradley? MM: Yes, most definitely. All of our faculty are working practitioners except for one (who does copyright). So each of us brings that work experience in. There are a lot of professional criteria that we’ve integrated into the program. For example, we stopped grading projects if the student didn’t meet basic criteria that the professional world requests: you have to have good grammar and spelling, you must meet your deadlines; you need to communicate with your mentor and team members. We train our students to follow a problem-solving process, too. If they find a problem, first they need to look for the answer themselves. Then they can go to their team or peers to help solve the solution. Finally, if those roads fail they can come to a faculty member. By senior year, they’ve got that process down. ACR: You mentioned team work. Do students typically work solo, in teams, or a combo of both? MM: Their work is a combination. They start collaborating in their freshmen year. Sometimes, we’ll pull back and ask for an individual project just to make sure they are mastering the skills. The technical skills are fundamental. We require all students to establish portfolios and update them regularly. We just had a huge portfolio show on May 3 at a new museum in town with activities for kids and a great showing. All of our 120+ majors showed off their work… they really take it very seriously when they understand that their work will be viewed by others! MM: We’ve been running Global Game Jam here for three years now. The students love it, and strictly through word of mouth it’s doubled in size each year. Last year we had 30 students, so next year I expect a good number! The process is quick and dirty and fun all in a single weekend. The Game Developer Conference out in California is also something many students participate in. I’d love to see all of our students out there next year, and we’re considering fundraising so that they can attend without being hit by a big bill. The Hollywood Semester is another big thing in our Communications & Fine Art College. Students go out to Hollywood, take classes and do an internship. Those who go out there are right in the heart of the industry working with game developers and animators depending on their focus. They become very well connected… many end up with internship and work opportunities. ACR: How do you keep up with the changing demands and evolutions of the game industry? MM: I don’t know… I’m still trying to figure that one out! I follow a lot of what’s going on, as do our students. They tell me things that they’ve read and I listen. It’s difficult doing this, but it’s also exciting. With constant changes happening, I get to help students realize that they can easily be on the forefront of these new technologies. ACR: Speaking of, I know it’s a bit of a crapshoot but are there things on the industry horizon that you are particularly excited about? MM: Yeah, I do research in games for health. At Bradley, we’re developing a game for Type II diabetics and our seniors have done 95% of the coding. We’re already at 300-400 assets. It’s a multi-player social game. If readers go to Dapper.imbradley.com they can check it out. I think some of the students are starting to realize the potential of this. Not every undergraduate has the opportunity to work with physicians and develop a game that can help people. Where else could they have this opportunity? This summer, I’m also looking at wearable technologies to see how it evolves for games. The health field (as it relates to games) is going to be where it’s at, I think. ACR: Monica, do you think that students come into the program at a higher proficiency with hardware and software thanks to their digital native generation? MM: I don’t think they do. I think that they know how to get around the computer better, but simple things like automatically generating a table of contents in Word they can’t do. I think that their confidence level is high because they’ve played games all their lives and they must know more about them. But suddenly they get a reality check that this is hard stuff. It’s one of the hardest majors on campus- I’m thoroughly convinced. There is a misconception among many young people that it’s going to be easy. ACR: That’s fascinating. I would never consider Game Design or Computer Science to be easy, but then again I was a humanities major! How about young women… do you notice more of them entering the field today thanks to things like the STEM initiatives? MM: I collaborate with researchers at DePaul and RIT; we’ve investigated the pipeline for game design students looking at the demographics of undergrads studying game design. While ethnicity has slightly shifted up a little, gender has not shifted at all from 2005 to 2013 (we used IGDA data). I’m both shocked and disappointed. I’d love to see more women in the field and in the classroom. It makes a huge difference- the types of projects that come out with gender diversity. I went to a junior high school last fall with some of my students to talk to an afterschool game club and it was all boys. This Friday I’m going to a high school and am curious about the gender mix and feedback. As designers and developers, we often fall back on what we know. Being a woman or being of a different ethnicity brings different experiences and that’s great. I’d love to see more women and Hispanics (who are also underrepresented) as well as African American women pursue these areas. ACR: Indeed. 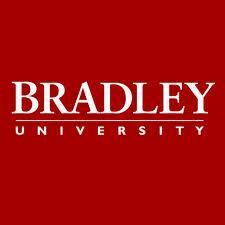 It sounds like Bradley may be a great spot for young women to look. Lastly, I know that your students are just wrapping up their final semester of the year. What words of wisdom do you impart on your graduating seniors? MM: There are so many things for them to know and remember! But when they graduate, I know that they’ve learned what they needed to. I only hope that they can take that and go out there into the world and have some fun. ACR: And I’m sure they will. Monica, thanks so much for participating. It was a pleasure!